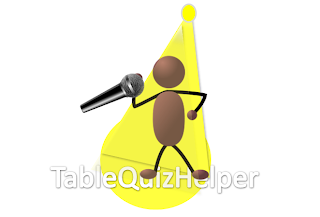 If you are the Quiz-master, QuizLeader, MC (master-of-ceremonies), host or announcer at a table quiz, then your role is to be the "face" of the quiz: to do all the announcements and ensure continuity on the day/night. It's an important role: What you say and do has a major effect on whether people have a good experience, and how successful the quiz is. It's also demanding: you need to prepare, beforehand, and then you are "on duty" for the entire quiz period. Because of this, some quiz organizers organize their team so that two people to job-share the role - either by managing alternate rounds of questions, or having one person dedicated to asking questions and another doing all other announcements. A good quiz-master is someone who the quiz-participants will listen to and respect. So there may be additional skills (eg relating to children or teens, ability to pronounce specialist words, existing relationship with the attendees) depending on the theme and participants of the particular quiz. Talk to the organizers beforehand, to understand exactly how the event is planned, and what constraints there are. Make sure that the participants understand how the event is organized. Control the "flow" and timing of the quiz: decide when to start each round of questions, and when to call "time" and direct the runners / markers etc to collect up answer sheets. Introduce each round of questions, and give the instructions for it. If the questions are designed to be read out, then read each one and then allow a pause for teams to answer them. Or if they are projected or given out in some other way, control this. Every so often, announce updates about the scores and current leaders. Decide on what will be accepted if people argue about the answer to a question. Some quiz-organizers may also want you to write the questions, and to keep the questions and answers secure in the days and weeks before the quiz. If possible, attend any planning meetings that the quiz-organizers run before the quiz: because the you are the "face" of the quiz for so many people, you need to know what is exected to happen when, and who is involved. If the organizers aren't experienced at running events, you may need to help them to plan how the quiz will work. For example, to allow teams enough time to work together and decide on their answers. Practice reading the questions, out loud, at least once before the quiz. Make sure you know how to pronounce any difficult words. Arrive early, and mingle with the participants as they are getting settled in to their tables: watch out for any tables that might be particularly loud or difficult to manage during the quiz, and take your cue for managing the "tone" from this. Don't tell anyone that you have the questions beforehand: the best way to stop people asking for hints is for them to believe that you don't know what the questions will be. Know who you can ask for help during the event, if something goes wrong. Keep an eye on the time, and if necessary adjust the number of questions or rounds. Test all the equipment (eg sound system, projector, music player) before the participants arrive, and again just before you start the quiz.